THE hip-hop beats of the dhol, rash of singers, mushrooming of music companies, a new ready-to-serve masala breed of music directors and composers and video directors have managed to make Punjabi music an industry. Efforts to showcase Punjabi culture and globalise it, albeit in a limited manner, almost make music appear as an alternative to agriculture, which is losing its sheen. This phenomenon has, however, invited the wrath of quality-conscious singers and listeners. Discerning singers, composers and connossieurs feel that the focus should be on quality of music and singing. So enamoured are they of Punjabi pop that almost every other youngster has no other dream than to be a singer or a model. Becoming a singer is like a self-financing programme that requires Rs 5 to 8 lakh at the entry level. Many times these younsters go abroad, through any legal or illegal channel, make good money by doing menial jobs and come back to fulfil their dream. They are fired with a single motive—to strike a deal with one or the other of several dozens of music companies to somehow attain the status of a singer at any cost. They are even willing to risk being rejected by the listeners and viewers, as it happens in about 95 per cent of the cases. The extent of "music mania" which has gripped youngsters can be gauged from a rough estimate of Kanwar Iqbal, an established Punjabi music director, who put the number of "self-styled" singers or entertainers at around 20,000. According to him, there are not less than two "singers" in each of the 12,729 villages of Punjab. One can jolly well imagine the annual turnover of the Punjabi music industry from the cost of advertisements or promos inserted in various TV channels alone by these "singers", estimated at Rs. 5-7 crore, according to Rabinder Narayan, the Managing Director of the ETC Channel. This channel has come out with an ambitious plan to promote Punjabi music internationally by initiating the "world’s first" Grammy- style ETC Channel Punjabi Music Award. The judges include eminent personalities from the world of music such as Uttam Singh, Bhupendra, Mahinder Kapoor, Jasbir Singh and Preeti Sapru. Singers and entertainers have been divided into 25 categories. Narain puts the number of Punjabi music albums released annually at around 450, of which only 12-15 were "really good and likable". Manmohan Waris, an established Punjabi singer, who has sung a number of hit songs like, gairan naal peengan jhootdi-e and hasdi de phull kirde, rued that the bhir or crowd of singers, writers, directors, video directors has confused listeners. "You can imagine that whenever I, along with my colleagues, stop at a dhaba to eat, we come across a couple of self-proclaimed writers, who want us to sing their songs. Same is the case with music companies and recording studios. This has put quality on the backburner. I remember the time when singers had to book music studios and directors in advance but now the scene is different and you can get a studio or music director at your will. Even established singers find themselves in the dock because anybody with Rs 5 lakh and above can be a singer nowadays even if he does not know the ABC of music," observes Waris, adding, "I feel an artiste is born. What pinches me the most is that dollars, with their high convertibility rate, are posing a threat to the music industry." No wonder that big music companies have forgotten the meaning of quality. "What disturbs me more is vulgarity in videos," says Waris. Despite the deterioration and even exploitation to some extent, Hans Raj Hans, the renowned Punjabi singer, feels every Punjabi has been "blessed" with a musical nature. If Punjabi music has attained recognition at the international level it is because of this trait. He says, "What I am amazed about is that even those Punjabis who don’t have any training sing well. We are increasingly being known the world over as a singing community. The only negative factor is that the quality of recording and marketing is not good. Punjabis are so talented that one can describe singing as a cottage industry." Barjinder Singh Hamdard, the Editor-in-chief of the daily Ajit, who was known for his reserve, came out with an emotional number Jazbaat all of a sudden in the first week of December last year, reinforcing what Hans feels about every Punjabi being musical at heart. Hans was, however, upset over the failure of the governments of Pakistani and Indian Punjab to encourage and preserve Punjabi music forms. "There is no academy where people can learn. We are losing out in agriculture and I think it is time to encourage music, which has the potential of being an alternative to agriculture. Even though some westerners sing badly, what matters is their recording quality and marketing strategy," feels Hans. He is particularly worried over the falling standards of music even in West Punjab (Pakistan). "They no longer sing in swara unlike in the past, when they were known for their rigorous training." Similarly, Jasbir Jassi, the Punjabi pop star who had shot to fame overnight with his Dil laigi kudi Gujarat di is, however, very optimistic about the future of Punjabi music. Jassi claims that he has just signed an agreement with New York-based BHAI music, which has an arrangement with the movie giant Warner Brothers, to cut a Punjabi album for them. "Proliferation might have come with certain in-built demerits, but what I observe is that it has definitely promoted Punjabi music and culture and globalised it as never before. It is the ongoing churning process in which there may be vulgarity, but, I hope the dust will settle down soon with people making their choice. During my trip to New York last month, I was taken by friends to an English club and was amazed to hear Punjabi numbers of Nusrat Fateh Ali Khan, Mundian ton bachhin and Dil laigayi kudi, being played in that very club. Similarly, in another Manhattan-based Chinese restuarant, Tau, I was stunned to see people dancing to tunes of a Punjabi number," says Jassi, adding that his number with BHAI records would be a combination of Sufi and hip-hop music. "In the West, it is now being felt that Punjabi melody is the best suited to hip-hop music." Kanwar Iqbal, a music director of repute, however, painted another picture, saying that despite the "superficial boom", the Punjabi music industry is passing through a crisis of sorts for past two three years,. Even established and big music companies have been hesitating from betting on established singers like Gurdas Maan, Sardul Sikandar, Durga Rangila and the likes. "Frankly speaking, most of companies have lost faith and lack the courage to put in finance ranging from Rs. 5 lakh to one crore on albums of big singers. There is failure to gauge the pulse of the people in view of proliferation of such a large number of singers," says Iqbal. "It is all self-financing on the part of singers except in case of about 15-20 top singers like Gurdas Maan and Sardul Sikandar. Even their albums are released on an average after a gap of one to two years by such companies, who have got confused owing to the presence of such a large number of singers and entertainers," says Iqbal. According to his calculation, there are about 24,000 singers in Punjab alone. Music industry sources maintain that except for 10-15 "properly trained’ ones, most singers seen on the idiot box nowadays are those who have either sold their lands or those who intend to cut one or two albums at their own expense and then rush to some foreign countries to seek greener pastures. Others have taken up singing as "any other business, like property dealing, to try to cut a neat profit" in view of the overall recession in the market. "Nowadays, even those without any formal training can sing with the help of high-end computer-based technology, wherein, a false track is created first to enable the prospective singer to follow it in toto," admitts a middleman who is also a "music arranger." He also admits that he has received about 20-25 young rural boys who have come with an offer to spend anything between Rs 5- lakh and Rs 15 lakh to cut an album after selling their ancestral land. 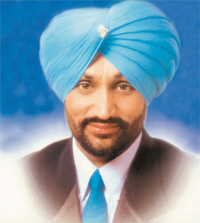 Sukhnain, a Punjab pop and folk singer of Gora chitta mukh fame, however, laments that modern Punjabi music lacks soul. "There are thousands of singers. But, what is the use of music, if, it is not soothing and if people don’t remember it for long, as it used to be in the past," he says. Ustaad Mohan Malsiyani Ji of All India Radio, Jalandhar, a regular participant in the Harballabh Sangeet Sammelan, echoed similar sentiments as he wistfully remembered the good old days when an audition conducted by AIR was considered to be an entry ticket to the music world. "Nobody without an audition was considered fit to be a singer. Those were the days when singers did riaz for hours together. 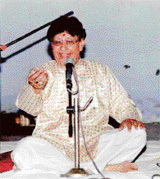 I don’t think that time, when singers had little use of material possessions and only concentrated on their music, will ever return," observes Ustaad Mohan Malsiyani. According to Joginder Bawra, who has just authored Harballabh Darshan, a book on music, the classical style is set to return. The touch of real Punjabi folk is missing and what is being dished out these days is just raula rappa (clamour). Bawra, who taught music at a number of colleges at Jalandhar, Dharamsala, Faridkot, feels: "When they know that they can sell without wasting time in learning why will they learn classical music and study original Punjabi culture and different genres of music?" 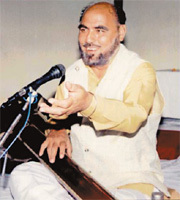 Condemning the western influence, which, has not only influenced the Punjabi music but has also "misguided" youngsters, Janab Mohammed Siddique, the veteran Punjabi singer of Asin allad pune wich aaiven akhiyaan laa baithe, a rage in the late 70s. 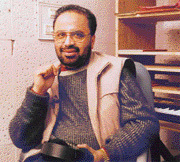 Siddique, has recorded more than 1000 Punjabi songs and has given about 18,000 stage performances during his 42-year-long career. He predicts an imminent change in the Punjabi music scenario, and is of the view that "it will die down. I feel one should change with the times. But, at the same time, Punjabi folk style and melody, for which you have to train, has an everlasting fragrance." "Present-day Punjabi music, dominated by the same, boring beats and loops, makes no sense at all. It is for dance, not for the heart, unlike melody and folk, which, is considered to be a bit thanda these days. So, we have no option but to compose as per people’s interests," feels music director Kuljit, who has turned out music about "500" albums, including, a number of hit ones like,Giddha Malwaiyaan Daa," and Nach nach pauni dhamal, sung by Pammi Bai. Sarbjit, a leading Punjabi female singer, blamed the "influx" of NRI singers and others "who have joined the bandwagon as they are good-for-nothing in any other field. "The real singers have been pushed back and their place has been usurped by stage performers with the force of money. Anybody with real talent should come forward and sing. Instead, NRIs who have money but little talent, have spoilt the show. It is all a money game now," feels Sarbjit, one of few well-known female singers who has attained stardom with songs like Ghodi, Koka Kadhwa de mahia ve koka. WHILE travelling across Punjab one discovers how people are critical of the vulgarity that has seeped into Punjabi pop songs. However, thousands of these very people continue to throng the venue of a pop show. It is confusing. Is it the absence of any other source of entertainment that could make Punjabis proud of their culture? People all over the country have lapped up the cocktail of Punjabi folk and rhythm of western beats. Overnight, Hans Raj Hans, Daler Mehndi, Gurdas Mann, Malkit Singh, Harbhajan Mann and others had become quick-selling brands. Even the Hindi film industry was quick to cash in on the wave of Punjabi pop by adding at least one such song into each new film that hit the screen in the past one decade. A second-rung of singers mushroomed simultaneously. These singers made their debut on various Punjabi channels and later succeeded in making inroads into the commercial market of Punjabi pop. 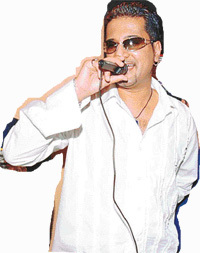 Jassi, noticed with his first song Dil le gayi kudi Gujarat di, was the first in line. 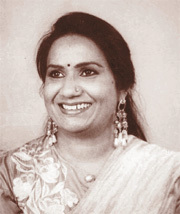 Surjit Bindrakhiya, Balli Saggu followed suit. Only a dozen odd singers made a quick buck in the name of Punjabi pop-singing. Hans Raj Hans was basically a classically trained singer of Sufi music. Sardool Sikandar and Wadali brothers are rated far better in Sufi singing than him. They cater only to connossieurs because they refuse to distort Punjabi classical folk singing. Experimentation which leads to creativity should be welcomed but unfortunately Punjabi pop of this era has made a mockery of Punjabi culture. It is time to ask whether these famous Punjabi pop singers have earned money and fame (in that order) on the strength of their talent or by flaunting scantily clad women in their videos and using technology to their advantage. Compare these voices with names like Mehndi Hassan, Nusrat Fateh Ali Khan, Abida Praveen, Ghulam Ali, Reshma etc. who became world-known singers on the sheer strength of their trained voice. Their presentation was almost always a solo, to the accompaniment of the harmonium, tabla or sarangi. Punjabi pop-singers, on the contrary, are accompanied by a hi-tech modern electric orchestra, which is always more prominent than the singer’s voice. The compositions too are pedestrian and the tunes ordinary. Women in bare minimum clothes make vulgar gestures, quite like the re-mixes of old Hindi film songs. Ironically, the lyrics and the actual visuals do not synchronise with each other. For instance, the singers would be singing of a parandha (thread weaving the long hair), ghaghra (long skirt), jhumke-gani (long ear rings and necklaces) etc. The women in the songs rarely have long hair, wear long skirts or any jewellery because the stress is on displaying the body. The foot-tapping rhythm of the western beats is responsible for inducing people to dance because the typical folk instruments like dhol, chilgose, naal, dholak etc. are, by and large, missing in the orchestra. Punjabis are quite orthodox in their attitude, be it in the treatment of women or the dress code. Nowhere in Punjab will you come across any girl in hugging mini-skirts or noodle-strap blouses and skimpy shorts, as shown in all the Punjabi Pop songs. Leaving aside a handful of girls in Chandigarh or in the affluent families of Ludhiana, Amritsar you will largely not witness any Punjabi girl wearing a dress, which exposes her body. Ironically, traditionally dressed women come to see these programmes. It is a practice in weddings too to hire to regale the invitees with dancing girls, who are exploited. While the singer takes away the lion’s share of the payment of all the shows, the dancing girls get only a pittance. They come from very poor families and agree to expose only to earn their livelihood. They have confessed to their exploitation at the hands of the organisers. Punjabis, who are rather touchy about Punjabiat, for which they have been holding innumerable seminars and world conferences. However, they have done precious little to generate public awareness and stop the exploitation of women’s body in these Punjabi Pop numbers on TV channels, stages and marriages. The basic dictum appears to be that "my daughter and my sister" will not be allowed to be a party in any such display of body but if some one else’ daughter and sister is presenting a vulgar dance, I shall enjoy it. The younger generation has got used to such frivolous music, thanks to these Punjabi Pop numbers, that they have lost the motivation to go through the rigours of learning classical Punjabi rich music. With the exception of Namdharis’ present Guru, Jagjit Singh, who is imparting classical, instrumental and vocal music training to the children of his disciples at Bhaini Sahib in Ludhiana or Gurbani music by certain enthusiasts, no Punjabi is making any effort to inculcate the rich Punjabi classical music like that of Patiala Gharana or Sufi music in which Pakistani singers have received international acclaim. WITH the aim of promoting good Punjabi music and singers, the ETC Channel would be honouring top singers with its "World’s first ETC Channel Punjabi Music Annual Awards" at a gala function at Jalandhar’s Guru Gobind Singh Stadium this evening. These awards are being likened to the Grammy Awards. The Lifetime Achievement Award will be given posthumously to Surjit Singh Bindrakhiya at the function. The function, according to Rabinder Narayan of the ETC, would be a extravagant musical event with participation of at least 10000 music lovers and 10 top Punjabi singers, such as Jazzi Bains, Jassi Sidhu, Pammi Bai and Kamaljit Neeru, who would entertain people. " The show would be jointly anchored by cricketer Navjot Sidhu and Sunita Gardena and it would be beamed live across about 112 countries." To ensure fairness, 50 per cent marks to competitors, who would be nominated by music companies, would be given by judges while rest of the 50 per cent would be based on the judgement of music lovers and people, whose responses would be collected by way of letters and SMS by an independent agency, hired by the channel. According to Narayan, the future of Punjabi music, despite the prevailing confusion, was bright. It had got internationalised to such an extent that even Britney Spears and Ricky Martins had hummed Punjabi numbers. THE wave of Punjabi pop, that started about seven to eight years back, is dying down. It is Punjabi folk now that has captured the imagination of listeners and viewers. For instance, Jazzy Bains might be a pop singer but Naag sambh lai zulfan de, which is folk in form and content that is a hit. Despite computers and digital technology being used, the sound of folk instruments is being sampled and fed into the computer. Like the disco wave that swept the country in the 70s, waves are like storms that sweep everything aside temporarily but it dies out. What stays is the gentle breeze. Only what is rooted in our culture has staying power, nothing else can take root easily. Folk-based songs are doing well. The beat of the dhol is dominating since it is a dance beat and has an internal rhythm. As far as the commercial angle goes, Magna Sound has closed, Sony has stopped producing Punjabi music and Tips has reduced production considerably, as have HMV and Universal. Overproduction led to an influx of substandard singers who had neither knowledge of ragas and voice quality nor training. That is why quality suffers.